CHICAGO – I was a 8 or 9 when I found myself in front of a Phillips CD-I display at Sears, playing the “Sesame Street” game like it was my job. The Count, Big Bird, Bert and Ernie all talked and animated in a way I had never seen in a game before. There was a guy in a suit talking to a lady behind me and he asked what I thought. “Pneuma: Breath of Life” is available on Xbox One and PC. Why? Because there’s a magic to child-like excitement that cannot be bottled or replicated. From “Super Mario 3” to the CD-I to “Metal Gear Solid 2,” there have been millions of kids over the past 20 years who stood in front of such displays with eyes open, minds blown and allowance frustratingly paltry. The best compliment I can give “Pneuma: Breath Of Life” is that it fondly reminds me of these moments in history. Deco Digital’s “Pneuma: Breath of Life” is the first game on Xbox One to utilize the brand new Unreal Engine 4. Much like those technological marvels of yesteryear, the game becomes not only what it does but how it looks doing it. And it looks spectacular. Stunning. Beautiful. Shiny. Colorful. Intense. From the lighting to texture fidelity to elaborate marble stairways and Greek architecture, if you were the kind of kid who had no idea how to play “Myst” back in the day yet loved it because it was so damn gorgeous, here’s a chance to feel that way again and actually have a clue. That is, until you get motion sickness. 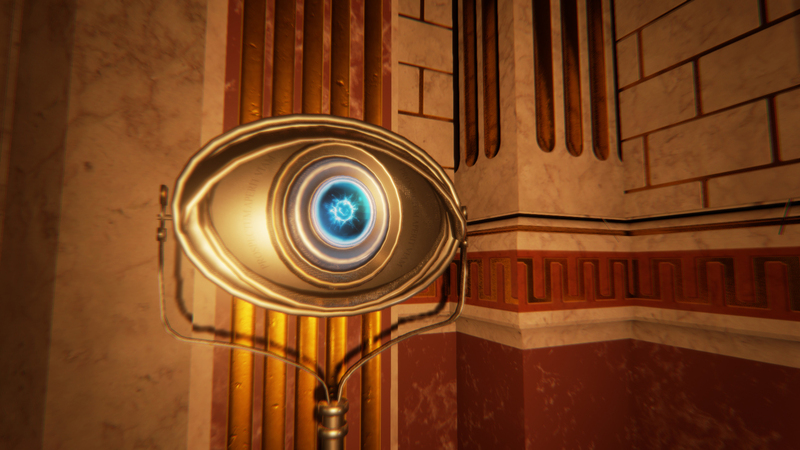 “Pneuma” is a puzzle game based entirely on whether or not certain eye-looking objects can see you. Sometimes you rotate your character and these eyes will rotate platforms. Other times you need to look at the ground to avoid making eye contact or see them in the proper order to progress. You spend a lot of time spinning around in circles or looking at the floor or literally avoiding the hands of time. But not without context. For better or worse, “Pneuma” features a heavy dose of Greek philosophy. While the narrator seems to be a little coked up, oftentimes the things he says about the nature of reality, time and perception play into a given puzzle. I won’t spoil how everything ties together and the nature of this character, his world and where he’s going and why, but it’s worth the journey. This game is beatable in a weekend of serious playing or a week or two of casual enjoyment. It doesn’t leave you peckish or overstuffed and the narrative meal is as satisfying as your extra-textual interest in its heady subject matter. Is “Pneuma: Breath of Life” enough to get an 8 or 9-year-old kid to exclaim wildly? Eh. You’re not shooting anything, crafting anything and the puzzles are a bit tricky to figure out, but then again, what sights. This is the sort of game parents would love their kids to play. And they should. Human behavior flows from three main sources: desire, emotion and knowledge. In that regard, “Pneuma: Breath of Life” is about as impressive as you’d hope it to be. The visuals are spectacular, the story engaging and puzzles serviceable. 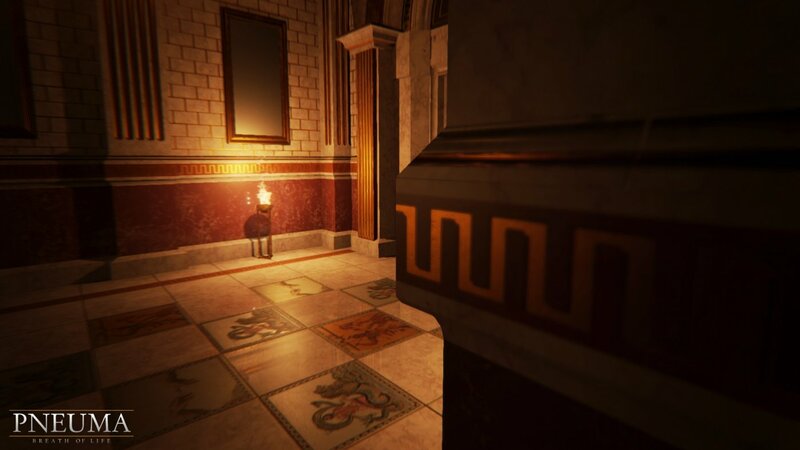 Does “Pneuma” do anything that needs the Unreal Engine 4? Probably not. But it does do what gamers need it to do. This is more an evolution than a revolution. It’s not so much a breakthrough in graphics as it is a peephole into the future. 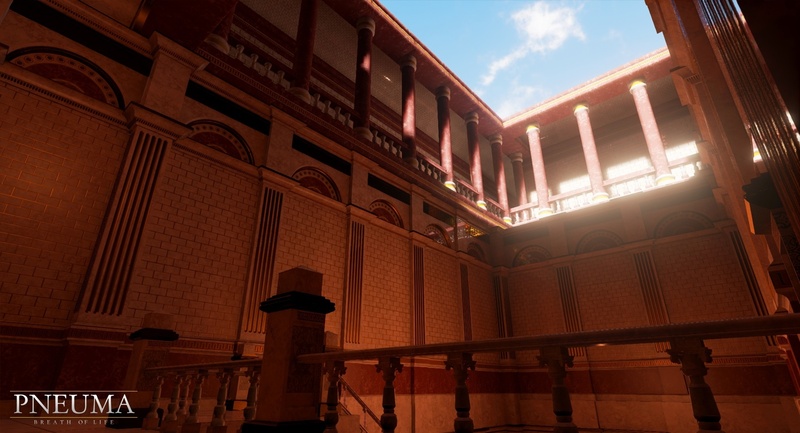 Opinion is the medium between knowledge and ignorance, and in my humble own, “Pneuma: Breath of Life” is a joyous and optimistic game well worth the price – especially considering how few non-violent, philosophically focused games there really are. “Pneuma: Breath of Life” was released on Feb. 27, 2015 on Xbox One and PC. The PC version features full Oculus Rift support. The first-person puzzler is developed by Deco Digital and Bevel Studios. The game runs on the Unreal Engine 4.